Texting My Pancreas: #GiveAllTheThings: Working On Your Fitness. 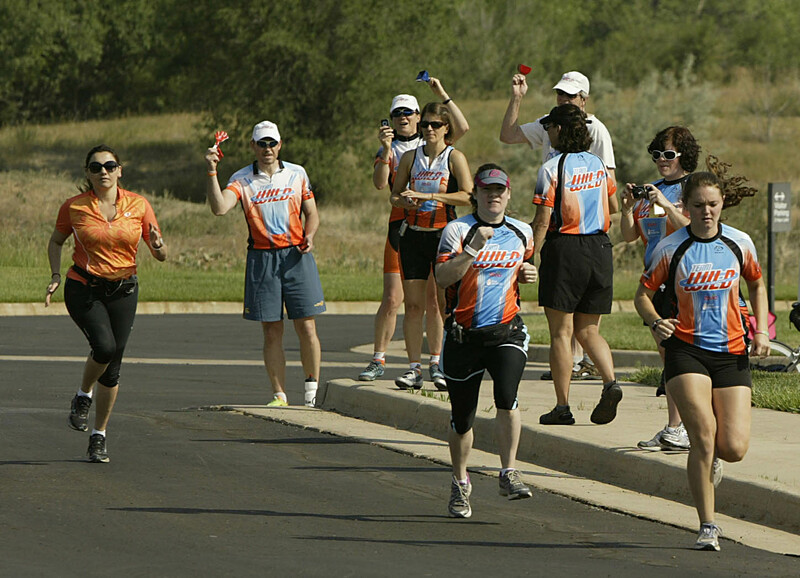 Zed Thompson: I am a type 2 diabetic and in 2012 I rode in the Tour de Cure for Colorado. For the 2013 year I signed up to ride again with a new goal of being able to ride 50 miles. Both my mom and dad are type 2 diabetics and we are all insulin dependant. I could really use some training or advice to get me to reach my goal of 50 miles or more. I am currenlty up to the 15 mile marker at least that is what I was able to ride in the 2012 Tour de Cure. I am so excited for you, Zed! I hope you'll keep us posted on how your training goes next year. :) Please email me at textingmypancreas (at) gmail (dot) com with your contact info! 12 weeks of customized training plans delivered to your inbox each week. 12 weeks of video and audio support from USAT Certified Coach Lynnda Best-Wiss and Diabetes Coach and Sports Nutritionist, Jenny Smith, RD, CDE, both of whom are highly trained and experts in their fields. Email support for 12 weeks from the athletic coach and diabetes coach to answer your questions. I definately want to accomplish my 1/2 marathon. My hip hasn't wanted us to do it! This would be exceptionally useful I have just started a exercise regime after having T1 for 12 months and feel I am missing some of the pieces. When I saw this, my heart pittered from excitement. I need this to help me get on track with my motivation and learning the ins and outs. My goal for 2013 is to get over my anxiety of working out with diabetes, and work out at least 2-3 times a week. This package would really help me be successful. Oh my goodness - best giveaway ever! I am a 37-yr-old newly-diagnosed Type 1 and a long-distance cyclist. I have been riding for many years, completing multiple charity events. Learning to ride and manage fuel and blood sugars from experienced professionals would be the best thing I could imagine. My newest goal for 2013 is to complete one or more Tour de Cure events. Thanks! This is so very awesome! My goal for the year is to run a summer series of 5ks here in Dallas, and a half marathon, all whilst managing my T1D beautifully. I've run these things before, but about ten years ago, when I didn't have diabetes. I was diagnosed with T1 2 years ago, and I haven't been consistent on exercise since. I'm terrified of lows. I need to get moving and active to prove to myself that I can do it and navigate any possible lows that may come. This package would be great because I'd have the support of trained professionals helping me know what I can really do! This would be awesome. I fear exercising with diabetes. So I just don't. My goal for 2013 is to do something, ANYTHING to exercise. Even just walking. If I win this, I think it'll be just the thing I need to motivate me and help me not fear exercising. What a fantastic giveaway! Because of various stresses, any sort of physical fitness has put itself on the back burner. I'm really hoping that in 2013 I can turn that around and get back to the levels of insulin I needed before I got a little fluffier....this would be just the thing I need! What an awesome giveaway!! My 2013 fitness goal is to make exercise a priority every day and to challenge myself to try new activities. Diabetes makes it tough to break out of known patterns, but the experts at TeamWILD could help!! This would be great! I'm hoping that in 2013 I can get fit enough to get my insulin levels down about 10-15% and then it will be possible to start trying for kids. The Sports Nutritionist part would be my favorite, since that is where I struggle the most! My goal for 2013 is to increase my running mileage. I define myself as a runner, but everyone asks when I'm going to run a marathon. This might be the year. I'm so excited about this giveaway. In 2013 I would like to work out on a regular basis. I would love this package to help me figure out how to do that with diabetes as I always seem to end up with lows. Oh wow! I really need this to get back on track! I worked very hard over the past two years and by March 2012 I was down 32 lbs from my original weight. However, the pounds are slowly creeping back on as my life got in the way of health this year (buying a house, getting married, etc). 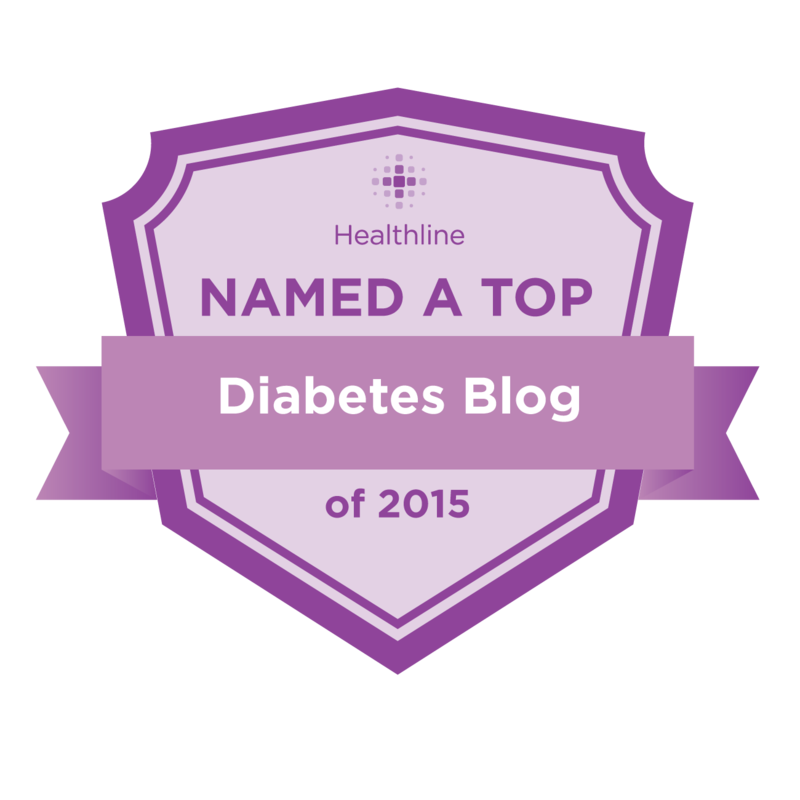 One thing I really lacked during my weight loss journey was help with diabetes. Being on a low calorie diet (and low carb by default), I was CONSTANTLY low. The nutritionist I was working with (who did not specialize in diabetes) was just baffled. Lows caused me to go over my suggested calorie goal EVERYDAY, but she obviously understood that diabetes had to come first. I would LOVE to get back on track and slim down again with a little D help. So, my goal is to get back into an exercise routine AND re-lose about 12 pounds. Thanks! My goal for 2013 is to qualify for the New York Marathon and compete in my first bike race. My 2013 fitness goal is to complete a half marathon. I did a 5K with Team WILD last year and would love their help to get me to my next goal of a half marathon! Kim, I haven't left a comment for any of the giveaways yet, 'cause I wanted someone else to win, But I couldn't resist this one. I'm really excited to see everyone's goals for next year, and I have four goals in mind for myself. My fitness goals for the new year are to try a variety of different things. Lately my fitness has been whatever has been easy (either walking or running) and I'd like to add some variety to that, while still running a few days/week as well. I also want to be able to hike & ski Tuckerman's Ravine without going low, which is a lofty goal, but a goal nonetheless. Wow. I'm so excited to know this exists! In 2013, I want to increase my running milage without getting injured to work toward a marathon, and I want to increase core strength and rock climbing skill so I can hold my own on overhangs. I really want this! I would love to find a work out program that I could stick with and not get discouraged! I'm newly-diagnosed with T1D and Graves' disease and I've been thinking that maybe this is why I just canNOT seem to get anywhere close to regaining my fitness from a year and a half ago before I moved here and broke my ankle. My goals for 2013 (and I'm still not sure they're viable) is to climb at least one outdoor V6 and be back to leading outdoor in the 5.10 range clean. I started to lift this past summer and I'd like to be able to squat my body weight (very lofty goal as my squats are progressing glacially). Finally, I'd like to get back on the bike again and ride to work at least twice a week. I NEED this! I have type I and it is difficult to exercise and figure out lows and reach goals, not impossible but more challenging! I would love to have a tool that helps me! I would like to be able to run (no walking!) a 5K. I hate running! I would like to slim down and be the size I was 2 babies ago! Hi all of you interested in WILDfit!!! The cost of a WILDfit program is $150. The value is priceless!!! If you win this give-away, you can use the $150 towards an upgrade to a more advanced TeamWILD program, just wanted you all to know this. Also, if you all are not YET on the TeamWILD email list, please go to our website and get on the email list... we offer lots of advice, info and inspiration!! !GO WILD and we are SO excited to give away a program!!! ~Mari, TeamWILD Director and Founder, type 1 diabetes for 31 years. hi Mari. thought that your programmes looked so good decided to go on the teamWILD website to buy one. Not sure if I saw the wrong programmes but none of them were $150. I was interested in the Olympic tri programme and it was $445. which programme is $150? SOMEDAY I want to complete a 1/2 marathon...maybe in 2013??? I would love to just get back into a good workout/training mindset, plus having that additional coaching/advice could make a huge difference. It would be wonderful to have this as an exercise "kickoff" in 2013! One that lasts! Great idea to get started on the way to my first century! get back to regular exercise. As I near 35 years with the D, I need to get back in shape helping to lead to better control. I would love to win to help improve by riding. I just started riding just over a year ago and put 6,000 miles on by bicycle the first year. My goals for this coming year is to participate in "Ride the Rockies", bike up Mt. Evans and complete a few more centuries. 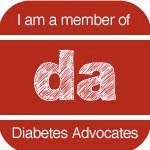 I love to encourage people who have diabetes like myself that they are able to accomplish more than they think they can. I never thought when I rode in my first "Tour de Cure" in 2011 I would be accomplishing what I have done in the past year. This coming year I would like to be comfortably active. In the past I've always dabbled in exercise, but have never found the enthusiasm to really stick with a routine. My goal is to run a 5K and a 10K. Yay! Hi! Please leave a/your name, so that you can be identified... otherwise your entry won't count. Thanks! I want to get back on track with a solid, no-excuses exercise program, in spite of a nagging knee injury. Having already been through WildFit once, it's just what I need in 2013. Even though I have access to two small gyms at apt and work, I don't have a motivating factor week after week. I've been receiving the TeamWild emails for a few years. I'd love to join TeamWild, do my first sprint triathlon and get back on my road bike again this year to participate in the Tour de Cure! (I had back surgery in August) Happy 2013 and thanks for opportunity! Hi there! Please leave a/your name, or your entry can't be identified (and you can't win). Thanks!! I have been training for roller derby for the past 18 months. In 2013 I plan to play in my first roller derby bout. To achieve this I will need to improve my skate skills, fitness, core strength and endurance. Good management of my T2 will enable me to reach this goal. I am finally getting back in shape after months and there is a 1/3 marathon through wine country I want to run. I have never run anywhere close to that far at one time in my and it would be an amazing accomplishment. I know the Team Wild Training can get me there. 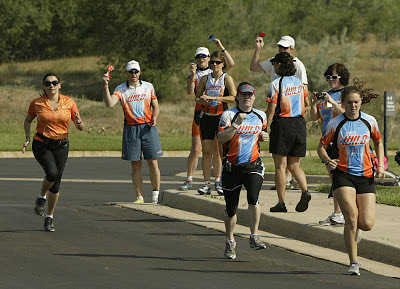 I am a type 2 diabetic and in 2012 I rode in the Tour de Cure for Colorado. For the 2013 year I signed up to ride again with a new goal of being able to ride 50 miles. Both my mom and dad are type 2 diabetics and we are all insulin dependant. I could really use some training or advice to get me to reach my goal of 50 miles or more. I am currenlty up to the 15 mile marker at least that is what I was able to ride in the 2012 Tour de Cure. Zed, you rock!!!! Be sure to write to me at mruddy at teamwild dot org!!! We can discuss how to proceed!!! GO WILD give-away!!! Linda Jacobs, I have been type 1 for 43 years and would love to loose 10 to 20 pounds :) And just feeling great with the exercise would be great to. Team Wild training sounds like a great chance..
My goal is to break my 5K PR of 21:35 by a whole minute. I pulled my left hammy pretty bad and aggravated my right groin training on Christmas Day, it will be a while before I can train again. But with a free TEAMWILD program, I can do it. I am atypical, type 2 for 4 years. I've had type 1 for 23 years and am 28 years old. My goal is to do my first century (100 mile) bike ride in the ADA Tour du Cure race in April of 2013. I've already signed up and am so excited to begin! 2005 was the year it hit the fan...I was diagnosed with Type 2. I was having trouble with me eyes, I'd fallen and I was always tired! I thought I was overdoing it with work.I was only 40 years old!! I had a great medical team (thank you health insurance). I joined a gym and with diet and medication I lost close to 80 pounds!! Fast forward to 2010..I'm unemployed although friends have been paying me to do odd jobs for them(cleaning, dog sitting, etc), I'm taking medication for depression now, my motivation and energy wavers alot and I have gained alot of the weight back. I exercise/workout when I have the motivation..I enjoy bike riding alot and I've done sprint triathlons. I'd really like to train for them and drop the weight. Being diabetic,I have found it difficult to know what to eat and when to eat it when training. I would soooo LOVE to win this contest and be the athlete I used to be a few short years ago! I am so overwhelmed by all my new additional auto immune diseases - they create havoc on my type 1 diabetes; sounds like your program could help me achieve my goal of getting my Ha1C below 8.0. Cool, didn't realise that, with the time delay, I got in, just in time. What a blessing! Neat idea! Not sure if the time limit has been met because I am sending this from a very sunny Saturday evening in Auckland NZ. i would love this programme to help me get back on track. I was training for Ironman (as a super beginner) but as the distances got long by control went downhill and I just kind of packed it all in. Am planning to come to camp next year and would like to be fitter than I am now. I'm sure being fitter would help with the plane trip too. because its summer here at the moment the programme would be perfect to get me ready to race. Goal race: standard distance tri in April part of ITU world cup being held in Auckland - race open to everyone! oh I love checking out new blogs, thanks! !